Sonic games should bring back Chaos. ^ And he'll win the next one too, because Ace can NEVER BE DEFEATED!!!! ^ Don't forget triple drat! VWF_champion wrote: ^ And he'll win the next one too, because Ace can NEVER BE DEFEATED!!!! He doesn't stand a ghost of a chance. LinkManDX wrote: He doesn't stand a ghost of a chance. Chaos was brought back (sort of). In Sonic Heroes Metal Sonic absorbed the powers of the heroes and Chaos to form what you saw as the final boss. If you had listened to what they say and look at Metal Sonic you could easily tell. In Sonic Adventure 2 the finalhazard was a prototype of the ultimate life form and created through research of the chaos emeralds. There you can see similarities between Perfect Chaos and the FinalHazard. Sry I thought this should be brought back on topic. ^ You have no real idea what's going on, huh? The Chao! From Sonic Adventure 2? The title can be rather misleading. ^^Tazy, there was a question in this forum also about bringing Chaos back. I wanted to correct the people by informing them that he was brought back but in different forms. They will keep bringing him back in different forms because as long as the chaos emeralds exist so will chaos. Why in the hell did Sega make such a confusing name? oh! And I want the chaos and chao gardens back!!! wariovswario wrote: ^^Tazy, there was a question in this forum also about bringing Chaos back. I wanted to correct the people by informing them that he was brought back but in different forms. They will keep bringing him back in different forms because as long as the chaos emeralds exist so will chaos. Nice attempt to cover yourself up. Just say you didn't know. 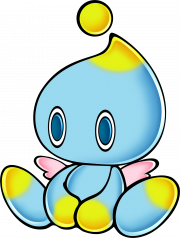 I know it was about Chao, but some kid here also asked them to bring back Chaos. It makes perfect sense about Chaos. ^Oh and tazy, try to be a little respectful. I wasn't trying to cover myself up. **** **** **** *****! **** *** ** * * *** ****** ***! ^I think that means immature. ^Jealous of what? You have nothing I want or envy.